Class-leading fuel efficiency. 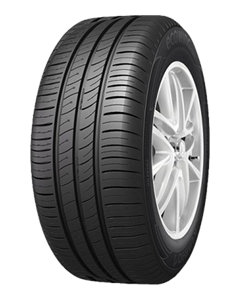 The asymmetric Ecowing ES01 KH27’s eco-friendly characteristics afford better rolling resistance and significant fuel savings in comparison to equivalent conventional tyres, combined with improved handling and wet performance. Improved water clearance for high levels of wet performance. Excellent handling and cornering in dry and wet conditions. Improved fuel efficiency and driving safety. Superb experience at Pellon! For someone who doesn’t know much about cars and relies on theirs for work it was great to find a place that knows what their doing and doesnt rip you off!! Prices were fair and staff were really helpful, they even showed me how to check my own oil to ensure I am taking car of my car between check ups. Service was above and beyond and I would highly recommend them! Thanks so much. absolutely excellent service today, bought 2 front tyres and front wheel tracking. Only took 40 minutes. We had our 1 year old son with us and there was lots of toys to play with in the waiting room and free coffee for us! Very impressed, we will be back in a few weeks for an oil and filter change. I’ve been a customer here for well over 3 years and every time I bring my car in for service, Mot or even for a repair it’s always been handled professionally. The staff are always polite and caring, always look after you and offer you a drink which gives you that welcome feeling. Never ever had a problem with pellon, I’m happy with the 5 star service that they provide for me and I will 100% be recommending the business to all my friends and family. Thank you Pellon tyres. Quick, friendly, efficient service. My one stop shop for motoring problems.